Bathymetry = underwater topography. A bathymetric chart provides information on the condition of ocean or lake floors, for example their depth. The music on “Bathymetric Modes” is richly image-laden, and alternates between dynamically driving and calmer and more static pieces. This album could appeal to fans of Terry Riley and Jim O´Rourke. On his surprisingly, first (essentially) solo album, Bathymetric Modes, Grydeland shows the same grace and spacious adventure that makes many of his sessions captivating. Joined by members whom he has worked with over the years, on a couple of tracks, Bathymetric Modes feels right at home and quick to absorb as a first time listener. Bathymetric Modes is a real surprise for me. I did expect to like it from the first spin. But what I didn’t expect was how consistently I would come back to it. Time and time again. A late entry to one of my albums of the year. Simply fantastic. “Let’s start with the ‘solo’ release by Ivar Grydeland. He’s a member of Huntsvile, Ballrogg and Dans Les Arbres, so his music was reviewed before here… Melodic music for sure, with repeating patterns on the guitar, small melodies but all of which comes to you with a nice edge, that makes it move a way from the world of improvised music, or from being highly abstract. Very pleasant, entertaining music with a great experimental touch to it. Quite classical in approach, but with a surprising soft touch. Excellent release. Even more succinct is Bathymetric Modes, the thirty-one-minute solo debut by Huntsville member Ivar Grydeland. In contrast to its brevity, the recording’s six pieces were laid down over a four-year period between 2007 and 2011. It’s wide-ranging, too, not just stylistically but also sonically. Bathymetric Modes is a short (31 minutes) solo album by Norwegian guitarist Ivar Grydeland (of Dans les arbres, Huntsville, etc.). There are a couple of other contributors on this CD (Xavier Charles is one of them), but this is first and foremost a solo record, intimate, where Grydeland stacks up tracks to create welcoming, pretty, almost naive tunes. More accessible and melodic than his usual projects. This record put a huge smile on my face. Ein Hans Dampf in vielen Genres ist der umtriebige Musiker Ivar Grydeland. Dieses, sein erstes Soloprojekt, ist eine feine, unterhaltsame und sehr abwechslungsreiche CD geworden. Die einzelnen Kompositionen changieren zwischen den Schubladen Prog-Rock (das generiert meistens der Leader selbst), Folk und improvisierter Musik (wenn sich die Klarinette und die Posaune hörbar einbringen), ohne in Beliebigkeit zu verfallen. Das klingt ausgreift, in sich ruhend und versetzt den Zuhörer in gespannte Aufmerksamkeit. Was will man mehr. Aber, und das macht „Bathymetric Modes“ so interessant, es groovt auch ordentlich, lässt Raum für Gefühle, ist, mit einem Wort, unterhaltsam. Eine Art von Minimal Music mit den Antipoden ECM & Terry Riley. Förutom den akustiska gitarren som alltså är skivans själva klangankare trakterar Grydeland bland annat cittra, ukulele, mandolin och steel guitar. Andra instrument – som en rent psykedeliskt motrytmisk orgel och Steve Reich-bubblande elektronik – är i första hand pikanta färgklickar i den bild som Grydeland målar med stränginstrumenten. Den intuitiva produktionen ger en grönskande och luftig ljudbild, som med ett slags synestetiskt, audiellt djupseende. ”Bathymetric Modes” har ett fantasieggande skimmer kring sig, både ljudmässigt och musikaliskt, och det är svårt att inte falla för den. När den norske gitarristen Ivar Grydeland begår sin solodebut hamnar han någonstans mellan den egna gruppen Huntsvilles blandning av melodisk americana och rytmiskt drivna drones och Jim O’Rourkes minimalistiska pop…Det är suggestivt, rullande och monotont men aldrig inåtblickande, snarare finns det märkligt nog en stark frihetskänsla i musiken. Den växer utåt och omfamnar. Et boblende og skimrende uttrykk, som lyden av å gli sakte nedover langs fridykkerlinen mens hundrevis av glinsende småfisk surrer rundt hodet. Samtidig er det alltid en klar følelse av tørr prærie og panoramautsikt i Grydelands spill. Dette skaper en besnærende dualisme på denne sterke platen. While Eivind Aarset and, more recently, Stian Westerhus have been garnering most of the international attention (and well-deserved it is), guitarists like Ivar Grydeland shouldn’t be left out of this elite group of futuristic six-stringers. 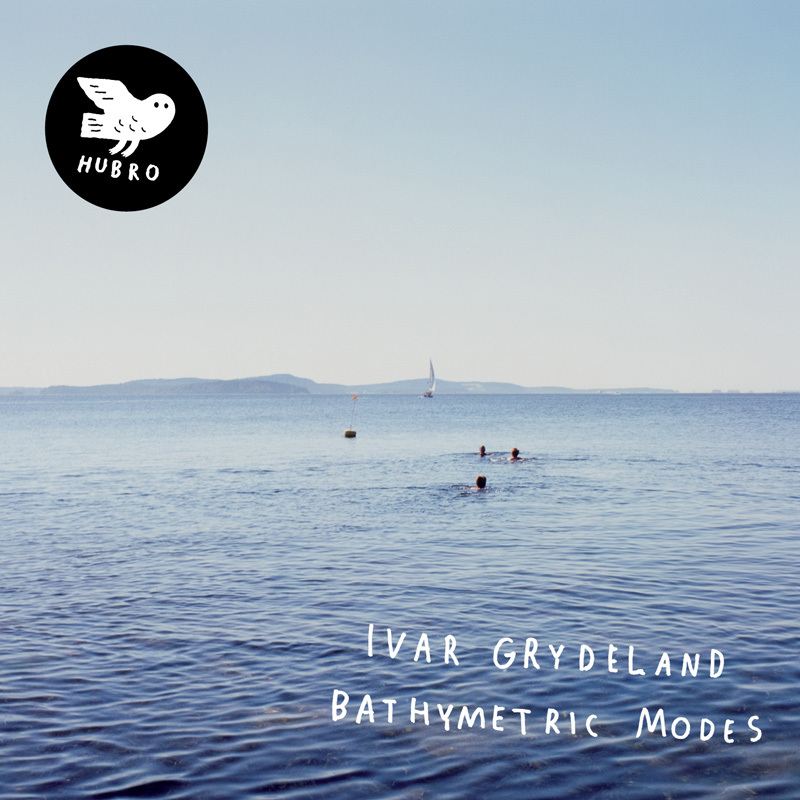 With the weirdly wonderful Bathymetric Modes, Grydeland has delivered an album that, in its combination of lyrical beauty, attractive sound worlds and left-of-center concerns, deserves to place him on the same international radar alongside his better-known Norwegian colleagues. It´s a short disc at only 31 minutes, but all the sweeter for it. The contrast of acoustic guitar and electronics, and general absence of bass sounds, creates a toy-like or mechanical feel – a deliberate naïve quality that´s very appealling.